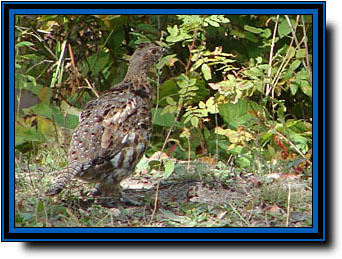 Ruffed Grouse and Spruce Grouse are very common in our area. In the fall you will see them everywhere. Grouse hunters take advantage of the many paths and ATV trails, which bring you into the heart of the Killarney wilderness. Most Grouse hunters that visit the lodge do combo fishing / grouse hunting trips. In Ontario, grouse hunters need to wear hunter orange (400 square inches of solid hunter orange) when grouse hunting during big game rifle season for bear, moose or deer.